It is difficult to declare yourself in writing because the emotional intensity of declaring is difficult to translate to the written word and an exclamation point frequently is one of the few tools to do so. The certainty and confidence when declaring is also difficult to capture with the written word. This entry was posted in common sense, education, science, society and tagged common sense, declare, education, explicitly, frequently formally, intensely, language, science, society, speak, the truth about declare, with certainty, words on November 10, 2015 by uldissprogis. 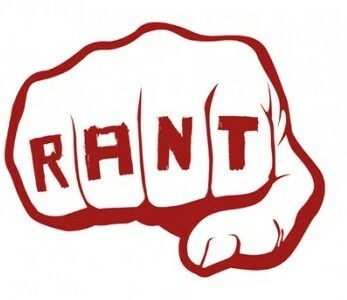 In all my life I have not come across an example of a ranting human in person but I have seen examples of it in dramatic movies and at some religious revivals where individuals speak loudly and angrily and/or aggressively against drugs, racism, or evil humans who evoke much hatred. Hate speech can easily turn into a rant when done in public in front of a listening crowd. This entry was posted in common sense, education, science, society and tagged aggressively, angrily, common sense, education, illogicalness, irrationality, passionately, rant, science, shout, society, speak, the truth about rant on July 15, 2015 by uldissprogis.